Smartphones in recent times have contributed to the growth of the medical sensing industries with a major success in the usage of a smartphone camera and flash to detect heart rate. Specialized Apps installed on the phone can use the phone inbuilt camera and flash to read an individual heart rate with high accuracy but nothing else in the space of health monitoring. Sensio is a biosensor that will allow smartphones to track six different health metrics, a big game changer in the smartphone and medical industry. 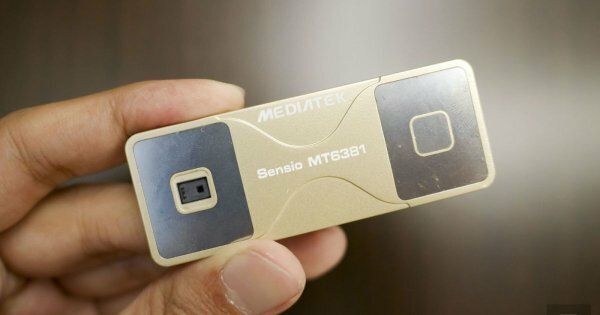 The Taiwan-based mobile chipset maker MediaTek has recently introduced MediaTek Sensio, the Industry’s first 6-in-1 biosensor that will turn smartphones into a personal health companion. Sensio will come as an embedded module for smartphones which make it possible to easily check and monitor one’s physical wellness. The MediaTek Sensio MT6381 will allow smartphones to track a user’s heart rate, blood-pressure, heart-rate variability, peripheral capillary oxygen saturation, ECG (Electrocardiography) and photoplethysmography (PPG). It works using an integration of hardware and software in order to measure all these health data in about 60 seconds, as claimed by MediaTek. The company will have an app that can track all of this data and have it accessible to the user and also stored in the cloud. The MediaTek Sensio module uses a combination of LEDs (light emitting diodes) and a light-sensitive sensor to measure the variations in red and infrared light from the user’s fingertips. The module is able to measure the ECG and PPG levels by creating a closed loop between the user’s heart and the biosensor which is made possible when the user touches the electrical sensors and electrodes on the device. Heart Rate – Measures heart beats per minute. Heart Rate Variability – Measures variation in the time between heartbeats. Blood Pressure Trends – Measures blood pressure trends to help users see data over a period of time. Peripheral Oxygen Saturation (SpO2) – Measures the amount of oxygen in the blood. Electrocardiography (ECG) – Measures the electrical activity of the heart over a period of time and displays it in graph form. Photoplethysmography (PPG) – Measures the change in volume of blood.